Loving husband, father, grandfather, brother, uncle, great uncle, and genuine friend. Daniel “Dan” Charles Vierus, 67, passed away on November 12th, 2018, in Piedmont, OK of a short illness of Pancreatic Cancer. The memorial gathering will be held at Groves~McNeil Funeral Home, 1885 Piedmont Rd N, Piedmont OK on November 15th, 2018 from 6:00 pm to 8:00 pm. At 7:00 pm there will be a time to share and reflect on Dan’s life. The funeral service will be held at Sacred Heart Church in Latium, Texas at 10:30 am on Saturday November 17th, 2018. Daniel was born February 25th, 1951, in Brenham, Texas to parents John and Mary (Borowicz) Vierus. He graduated from Burton High School in Burton, Texas. He worked as delivery driver for Blue Bell Ice Cream. In 1977 he moved to Oklahoma to become entrepreneur in the printing business. He proudly owned and operated Dan’s Printing (formerly Kwik-Kopy) for 41 years. Dan was a generous and kind person always giving to others. Help anyone in need without expecting anything in return. Throughout the years of his business his customers would turn into life long friends. His print shop was his home away from home. He enjoyed spending his summers with his family and friends at Lake Eufaula. Dan also enjoyed visiting his family in Texas, especially his favorite sister Clarice. 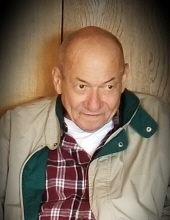 He was preceded in death by loving parents, John and Mary Vierus, brother’s and sister’s, John Vierus Jr., David Vierus, Natalie (Vierus) Imhoff, and Clarice Konieczny; bother-in-law’s Leo Mueller and Lenny Konieczny; Sister-in-law’s; Alicia Brazell and Gina Haque; nephew Dennis Mueller; Niece and God Child Michelle Vierus-Garcia. His loving family includes his wife Cris Vierus, his two daughters, Tammy Wesley and Tina Vierus, and mother Carol Barber, sons, Devin Vierus, Derek Vierus and Damon Vierus and mother Deb Yellseagle and Brandon Noland, and mother Cris Vierus, and six grandchildren and one great-grandson Sisters: Valeria (Vierus) Mueller, Loretta (Vierus) Haren and husband Ron Haren; sisters-in-law and brothers-in-law: Ruby and Jerry Walters, Fred Imhoff, Angela Hite, and Anita and Cliff Ogle as well as numerous aunts, uncles, nephews, nieces, grandnieces, grandnephews, and cousins. Dan was loved by everyone and will be extremely missed! To send flowers or a remembrance gift to the family of Daniel Charles Vierus, please visit our Tribute Store. "Email Address" would like to share the life celebration of Daniel Charles Vierus. Click on the "link" to go to share a favorite memory or leave a condolence message for the family.